Today, Qardio announced it has partnered with Sun Life Canada, one of the largest insurance providers in the world. 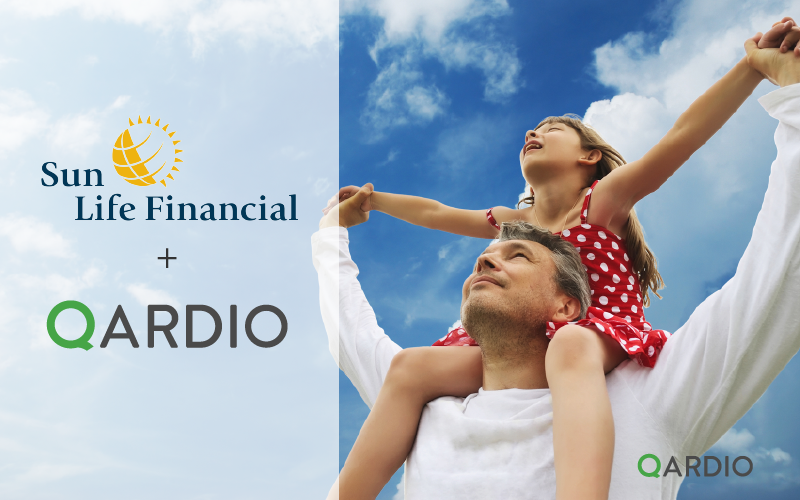 Together, the two companies will work to support Sun Life’s community of over six million Canadians lead longer, healthier lives with the help of Qardio’s innovative digital health products. QardioArm, a wireless blood pressure monitor, QardioBase, a smart scale and body analyzer and QardioCore, a wearable ECG monitor without wires or patches are now available to Sunlife Canada’s employees and clients through SunLife’s Discovery Lab platform. QardioArm, QardioBase and QardioCore are all medically accurate devices that connect to the Qardio App, available on iOS, Android and Kindle, which automatically syncs a users health measurements and allows them to set reminders, see health trends and monitor their health over time. Users can also send their data directly to their authorized doctor via Qardio’s doctor-patient portal, QardioMD, which automatically analyzes and sorts data for doctors so they can remotely monitor their patients. Sun Life Financial is a financial services company providing financial planning, life insurance, health insurance, investments and more. Sun Life Financial is focused on helping people achieve lifetime financial security and live healthier lives, taking a holistic approach to supporting the well-being of its clients, employees and communities with the end goal of helping to achieve physical, mental and financial resilience both now and in the future.